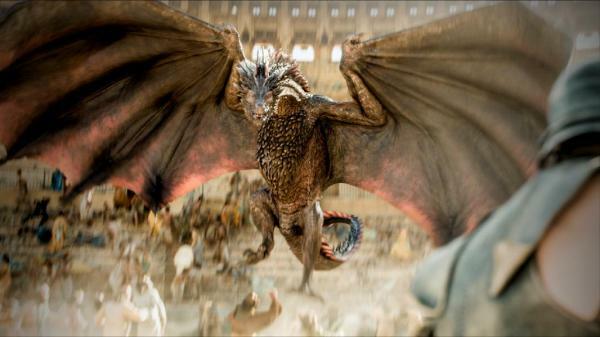 Game of Thrones - Season 5 Episode 9 "Dance of Dragons"
Coo-ee. 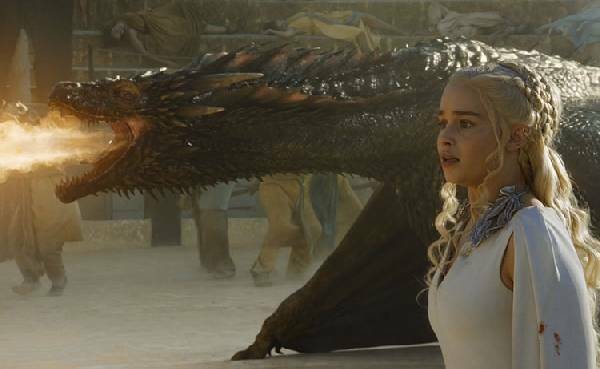 Another storming episode of Game of Thrones hits us like dragon-fire this week. I spent so much of “Dance of Dragons” holding my breath or shouting at the telly, I was positively hoarse afterwards. Building it’s two thirds with portentous moves from the Wall, Dorne and Braavos, it slides inexorably into overdrive with the one-two punch of Stannis’ utter moral downfall (what, again?) 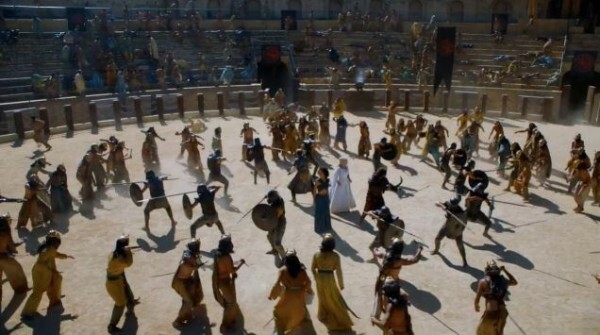 and shocking events in Meereen. One can only assume that next week’s finale is going to bring the house down, break the wheel or some-such. Any accusations of tedious dullitude thrown at Season 5 are surely by this stage void? 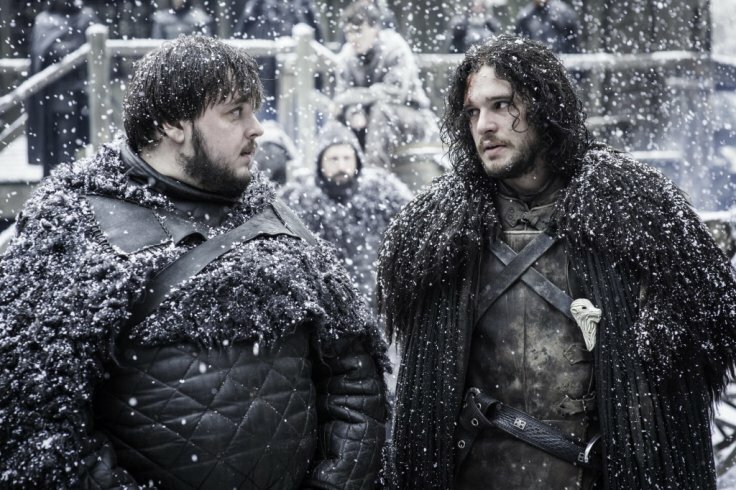 Following from the shitfest of last week’s White Walker massacre at Hardhome, we happily cut straight to Jon Snow and the Wildlings’ forlorn arrival at The Wall, replete with looming giant. Alliser Thorne manages to hold his dickery at bay long enough to let them in, but dissension is building in the ranks as the Wildlings pass through into the lands south of Castle Black. Nows the time for a swift roundtable, perhaps? Snow is losing his momentum and his friends, with young Olly sullenly looking on. He needs the backing of the Black to solidify this new tentative alliance with the free folk, and the inmates are restless. Arya encounters an old enemy as Meryn Trant arrives in Braavos. Mark Gattis gives good awkward host as Lord Tyrell blusters and belts his way through negotiations with the Iron Bank, a pious and humourless organisation at the best of times. Arya watches all this in a remarkably indiscreet fashion, loitering in plain sight or just straight up walking into the same room as her quarry, armed with little more than an oyster knife. 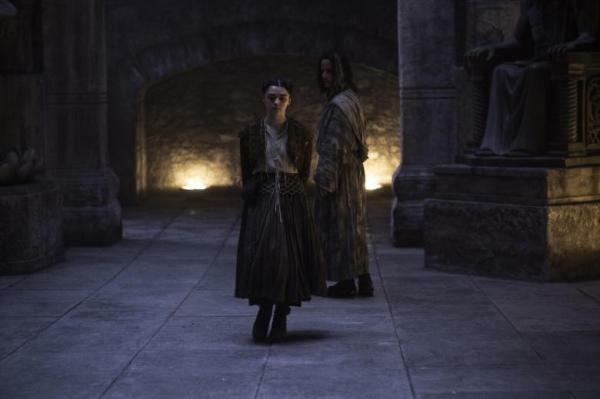 The disruptive appearance of the repulsive Trant during Arya’s apprenticeship is problematic; it seemed likely that Jaqen H’Ghar is aware she’s hiding something from him, and when its revealed that something is a name off her identity-forming List of Bloody Vengeance, he’s bound to find her commitment to his methods wanting. 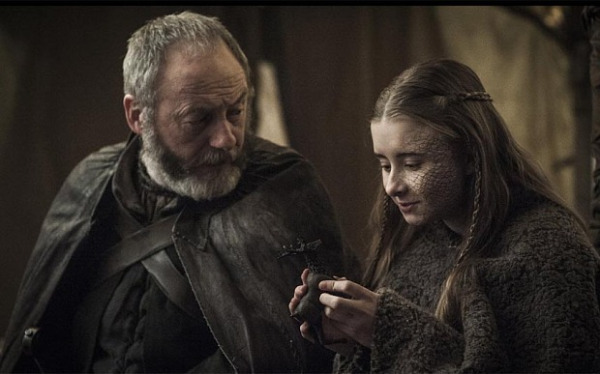 Having said that, Arya should definitely have at it; Meryn Trant is molten revoltin’. In Dorne, Jaime is actually taking to diplomacy, offering himself up for punishment in Bron’s stead (albeit after he finds out he is not to be beheaded). Alexander Siddig does nice work with a very mixed bag of intentions as the crown prince of Dorne, by turns grave, insulted, deferential, hospitable, charitable and amused. Prince Doran’s attempts to maintain alliances is admirable, but I fear his penchant for second chances will likely cause Ellaria Sand to rise up again, somehow. 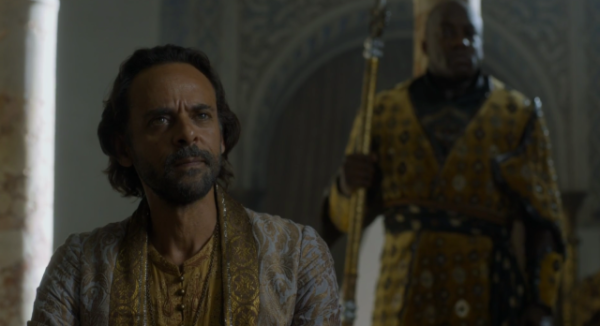 His mercy may be nearly as dangerous for Dorne as her ruthlessness. The rest of the Sand Snakes seem a tad bonkers, and Bron is smart enough to realise it; Jerome Flynn’s weary, slightly bored reading of “The most beautiful woman in the world” is priceless. Prince Trystane’s version of justice is laudable, or is that laughable? Still, one can imagine Bron seeing the equity in a smack in the gob for same. The mother snake has an interesting conversation with Jaime, expressing an empathetic affinity for his incestuous leanings, in a way no other character ever has. Her threat is barely veiled though, as she concedes his probable innocence in her late paramour’s demise, while acknowledging his love for Cersei does not get either off the hook, if his loyalty to his dishonourable queen remains his guiding light. 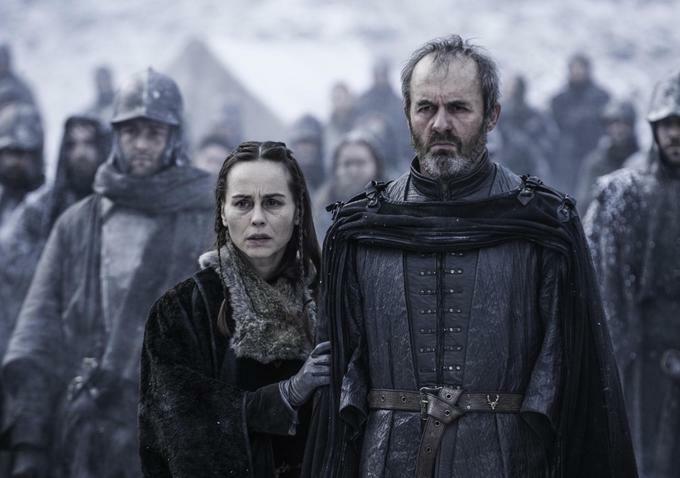 The affront to humanity known as Stannis Baratheon first pathetically attempts to justify his actions and then pleads absolution in a chilling conversation with his innocent daughter where she foretells the grievous outcome of arrogant brutalities wrought by royalty. As his child is dragged to her doom, even his awful wife has a change of heart, though it is galling and a sorry excuse for maternal instincts. A coward and a villain to the end Stannis, yet again, consents that the latest in a long line of gross deeds be purveyed on his behalf by his puppet mistress, and in the most awful way imaginable. The scene itself pulls no punches, allowing Shireen’s terrified then agonised screams to ring out over the gathered crowd, reaching a terrible peak that should earn the young actress Kerry Ingram plaudits, and the heart of every viewer. This must surely seal Stannis’ undoing; and please, let it be the Onion Knight who wreaks revenge upon this most un-majestic of men. As Game of Thrones mercifully cut away from Westeros to Essos and the fighting pits of Meereen, it occurred that this scene might almost be some sort of diabolical palate cleanser. 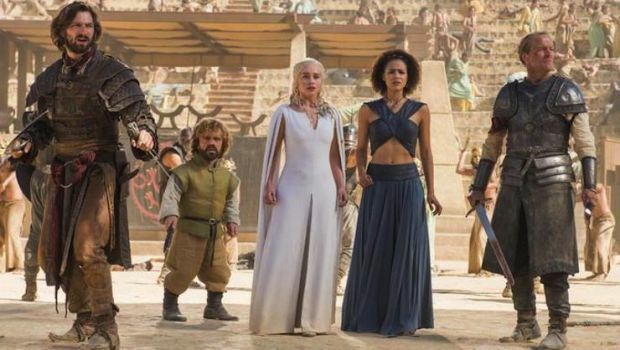 The gladiatorial setting promised to unleash it’s own larger-than-life barbaric ritual, and Ser Jorah’s appearance was an expected outcome, but the Queen’s disdain brings gravity to proceedings, while Tyrion and Dario Naharis quip and ‘silly’ beheadings flow. The verbal sparring between Daenerys and her lordly betrothed is brought abruptly to an end as Jorah proclaims his intention to die for her honour. Emilia Clarke and Iain Glen continue their extraordinary chemistry across the pit as Jorah slays one opponent after another, each one his only recourse to recompense his betrayal of her trust. 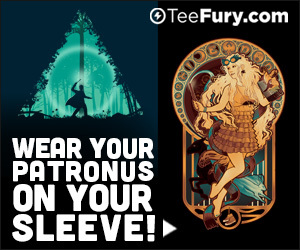 But the one defeat that truly counts is the spear in the heart of the Son of the Harpy seconds from regicide. The sting in the viper’s tail in “Dance with Dragons” is the massacre; perhaps this was obvious to other fans, but at times like these I delight in my own naivety as a viewer. Tyrion makes good account of himself, saving Missandei as they flee into the dragons den. That Game of Thrones, and obviously George R.R. Martin, save the big moments for when they are truly needed is a credit to their patient storytelling. Leaving Danearys’ latest ascension until a crucial juncture gives us all the more air-punching opportunity, though that was a worrisome four-plus spears Drogon took between immolations. As the mother of dragons flies to safety on her mighty steed, her faithful entourage can only look on in awe from the ground. Much like us, perhaps.